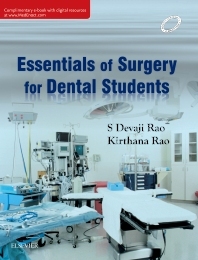 S Devaji Rao is a meritorious student of Stanley Medical College, Chennai and a postgraduate of the prestigious AIIMS, Delhi. He has keen interest in Gastroenterology. His special interests are Surgical Nutrition, Surgical Oncology especially related to Gastroenterology. He has received special training in Liver Surgery from Prof Naofumi, a renowned Liver Transplant Surgeon of Shimane Medical University, Izumo, Japan. He is member of the national Academy of medical Sciences, India and a fellow of the International College of Surgeons. His work on 'Benign Somatostatinoma of Pancreas' was greatly appreciated in the 'First World Congress of HPB Surgery' at Lund, Sweden. Senior Consultant Surgeon, St. Issabel hospital, Mylapore,Chennai.